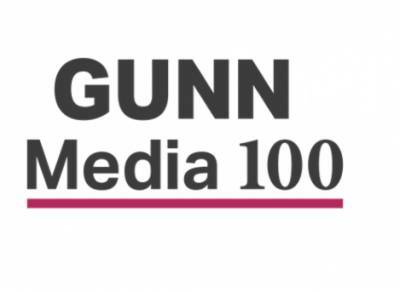 Gunn Report, the global index of excellence in advertising, has released the results of the 2018 Gunn Media 100, a global ranking of the world’s most awarded and applauded campaigns and companies based on their performance in media competitions around the world. The highest-ranked campaign in the Gunn Media 100 is McDonald’s ‘Capacity Based McDelivery’ by OMD Singapore. To maintain competitive advantages, McDonald’s promoted its delivery service McDelivery in Singapore in partnership with Google. By integrating McDonald’s first-party data with Google’s hyper-local targeting, they maximised media cost efficiency and managed consumer expectations of delivery time through tailored messages, mapping real-time restaurant data against paid search spends via a live API. Clik here to read more related news. In second place is ‘Hungerithm’ by MediaCom Melbourne/Clemenger BBDO, which saw confectionary brand Snickers partner with 7-Eleven stores in Australia to drive sales and increase category share.Snickers says the internet gets angry when it’s hungry. The brand launched ‘Hungerithm’, an algorithm that analysed 14,000 social posts a day and adjusted the price of the chocolate bar accordingly.The angrier the Internet got, the cheaper Snickers became. Ranked third is ‘Reword’ for Headspace by Leo Burnett Melbourne/Starcom Melbourne. The Australian youth mental health foundation, successfully tackled cyber bullying by putting in place a social media rewording tool that analyses what users type and uses a red line to strike through abusive phrases. MediaCom London claims first place in the Gunn Media 100 agency rankings with four campaigns ranked in the top 100: ‘Best Day Of My Life’ for Shell (#6), ‘Singing Our Way To The Top Of The Box Office’ for Universal Pictures’ Sing (#22), ‘Missing Type’ for NHS Blood & Transplant (#30), and ‘Dark To Light’ for Gucci Guilty (#77=). MediaCom is the top-ranked network with eight agencies from around the world – Auckland, Bogota, Dusseldorf, London, Mumbai, Melbourne, Mexico City, New York–contributing to the network’s poll position. PHD Worldwide is in second place and OMD Worldwide, third. For the first time Gunn Media 100 has included a ranking of holding companies. WPP tops the leaderboard, with three of its networks – MediaCom, Mindshare Worldwide and Wavemaker – ranked in the top 10. Omnicom Group and Interpublic Group follow. “We’re seeing that the smart use of data, event-led strategies and partnerships that provide new consumer reach are the main themes currently driving the media industry forward offering new and exciting opportunities in the market place,” she added.